Asia is a vast and diverse continent, but there are some general tips that will serve women well while they travel throughout it. Women should always research the areas to which they are travelling thoroughly and take care of any necessary vaccinations, courses of anti-malarial tablets and entrance visa procedures before leaving home. If you’re planning a trip throughout Asia, you may also want to consider carrying your own chopsticks, learning to navigate 'squat' toilets, dressing appropriately for the region, planning your routes for safety and paying attention to your surroundings at all times. Many areas of Asia that are popular with Western travellers, including China and Vietnam, use chopsticks when eating meals. By bringing your own set of chopsticks you will not only be able to control the cleanliness of your eating utensils but also how they are washed (important in areas with non potable tap water). Your reusable chopsticks will also allow you to reduce the waste of take away chopsticks. However, bringing your own chopsticks is best suited to street food. Bringing your own chopsticks to more formal restaurants, or using them in countries such as India where they are not a normal eating utensil, should be avoided. Western style hotels and transportation options will usually have Western style flush toilets, but in more local lodgings and remote areas a 'squat' toilet may be the norm. These toilets are set into the floor and usually have a container of water next to them. Women simply brace their feet on either side of the toilet, squat over the bowl and then pour water from the container into the bowl when they are finished. Usually these toilets have a flush somewhere in the cubicle, though it may be on a string or on an adjacent wall. Women should always carry toilet tissue or wet wipes with them as many toilets do not supply these items, or supply them at a cost of a few coins. Asia covers a large land mass and many different climate zones, so dressing appropriately will differ depending upon where you are. However, more modest clothing is the most appropriate in all areas so avoid high hem lines or low neck lines is always a good idea. 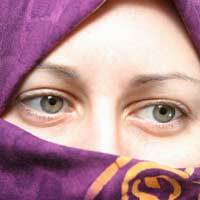 Some countries in Asia, such as Indonesia, Malaysia and Pakistan, are Muslim nations and so head coverings may be required or make you feel more comfortable. If you’re in doubt about whether your clothes meet local standards, consider buying a few local outfits with the help of local women or tourism officials. Safety levels for Western tourists in general, and Western women in particular, will differ in many areas of Asia. Before you travel check to see if there are any warnings against the areas you plan to visit, and check again immediately before you plan to arrive to see if there has been any unrest in the region or if the Foreign Office has issued any travel advisories to the area. Also make sure to invest in travel insurance that will cover the cost of a ticket change so that you can rest easy if you do need to change your travel plans. As with any area of the world, even your own home town, you should be sure to pay attention to your surroundings as you travel around Asia. While you need not assume something bad will happen to you during your trip, it’s always best to remember that it could and thus become observant about where you are, who you are with and who is around. If you do feel that something is amiss, get back to a safe area immediately. Trust your gut instincts while you travel abroad and your chances of returning home safely will no doubt sky rocket. There is no reason that women should fear travelling in Asia, but some general health and safety precautions should be taken. For more information about female travellers in Asia, find some women who have been to the region and talk with them about their impressions and advice.